SEEN launched November 17 with Jerry Saltz’s essay on the art world’s new conservatism. It closes today — for now — with his conversation with Matthew Weinstein about “Gaga’s law” and how art culture has eaten pop culture (which Lady Gaga actually retweeted — approvingly!). Here’s a bunch of our favorite stuff from SEEN’s first 33 days in the art world. There were fantastic slideshows of art, from a show curated by Eric Fischl about America’s doll obsession to Todd Oldham’s outsider art collection to Oliver Wasow’s found-object art of people standing next to televisions. And even a slideshow of tattoos of art. We had fantastic video, including an exclusive clip Kara Walker secretly filmed of everyone mugging for selfies in front of her Domino Factory sugar-sphinx, artist Rashad Newsome’s study of epic-ness in music videos, and the guy who re-created a Keith Haring mural with balloons. We did audio interviews with Lawrence Weiner and introduced original music by Cory Arcangel. (We also published some terrific studio playlists.) We featured original in-studio photography by Sarah Trigg documenting the working process of Marilyn Minter, Rashid Johnson, and Shirin Neshat. We showed you how to dress like a Rembrandt and wondered why artists are so freaking hot. We built an interactive walking-tour map of New York City’s art history, and an interactive quiz showing just how weird and seemingly out-of-whack the auction market really is these days. We broke news! Like the fact that even Jeff Koons couldn’t afford to hang on to real estate in West Chelsea, and that Terence Koh was quitting the art world (er, again!). We also played around on social media, interviewed artists about what they made of the art selfie, and discovered James Franco hiding out from North Korea with Klaus Biesenbach, Gaga, and pals (including Laurel Nakadate, who took the photo!). We also talked to a few dozen female artists about Lynda Benglis’s notorious Artforum ad, which turned 40 this November, and what, if anything, had changed in the art world for women since it was published (then we interviewed the press-shy Benglis herself!). We hung out with artists from Takashi Murakami to Marina Abramovic. And we got contributions from others, including this great art tour of L.A. by Maurizio Cattelan featuring a visit to the painting studio (who knew?) of Jim Carrey; and this preview, from Minter, of her book of “bush” photography. Marlene Dumas, Richard Prince, and Cindy Sherman (among others!) explained how important the support of collectors Don and Mera Rubell was to their careers. Art adviser to the stars Jeannie Greenberg Rohatyn told us how Tom Sachs’s tea set changed her life. Curator Francesco Bonami actually took a trip to Antarctica on our site. And we took a trip of our own, to Miami, publishing photo slideshows and party reports every night during the art fairs; eavesdropping on Miami sales, and reviewing the art-fair booths as booths; and reporting on the major sales of the week and all the actually important things that happened between the blurry late nights. In addition to the NetJet protest and the question of whether Kanye West was, in fact, the world’s most committed artist. Oh! And of course we also did a lot of incredible writing. 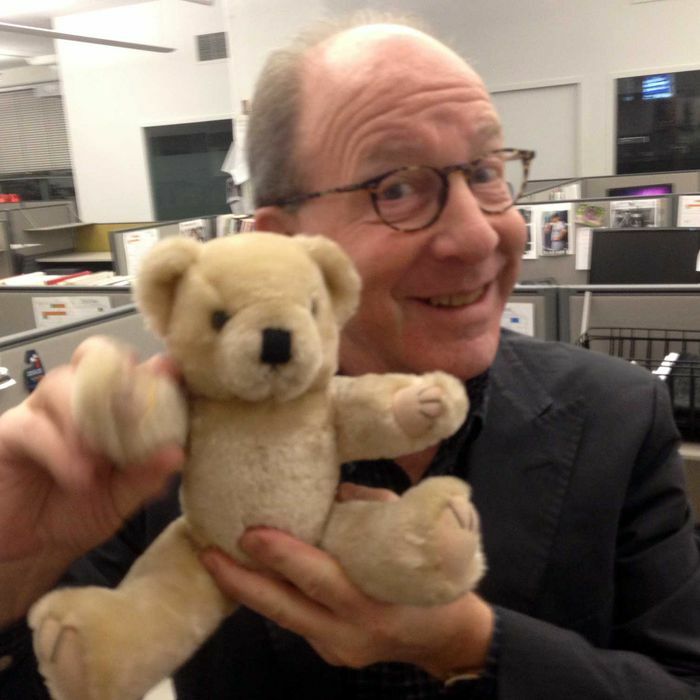 Leading the way was Jerry Saltz, who, in addition to his manifesto against conservatism, published an essay about discovering real art on Instagram, invented a whole new critical form in the three-sentence review, and produced the most essential assessment of MoMA’s monumental survey of contemporary painting. We had Carl Swanson on Margaret Keane and @fartbasel, and Wendy Goodman on growing up in the shadow of Saul Steinberg, on Sotheby’s director Lisa Dennison’s one important artwork, and on the whole fantastic world of design. Thessaly La Force not only edited most of this torrent, but she also took time to interview Kalen Hollomon and Cory Archangel. And there were literally dozens of dispatches from Julie Baumgardner, including “brief histories” of butts and food coma in art. And that, believe it or not, only just scratches the surface. Thanks for reading! And see you out there.